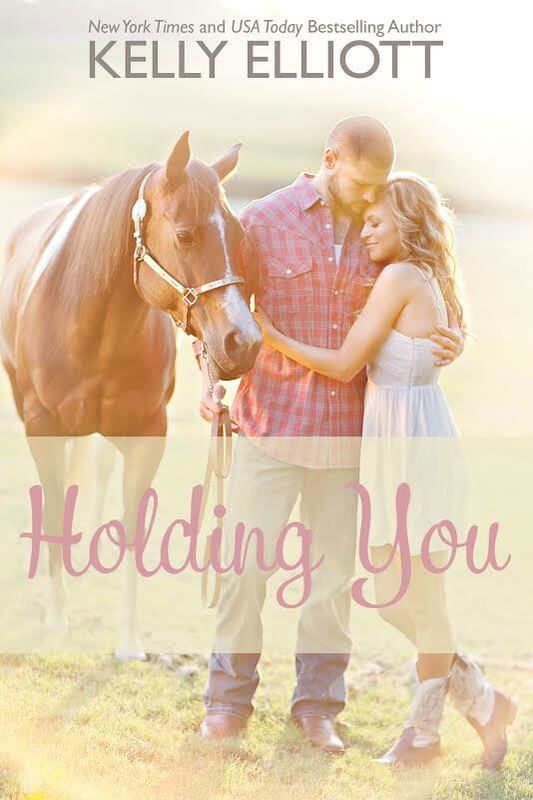 Love this beautiful cover of Holding You by bestselling author Kelly Elliott! Holding You is the third book in the Love Wanted in Texas series and it’s coming May 4th! I’m so excited to share an excerpt with you from the book below… read up! If there was one thing Colt Mathews could do, and do well, was swoon the hell out of me with his smile. And boy was he swooning me right now. My knees felt weak as Colt flashed me that smile that I had fallen in love with a few years back. That stupid crooked smile that I dreamed about every single night. Holy mother of God. Play it cool, Lauren. Play. It. Cool. Colt wants to make me his! My lips parted open. “Me … um … I … I’ve never … ahh … what about …” For the love of all things good. I can’t even form a sentence. My mind was swirling with images of Colt making love to me. Colt naked. Colt kissing my body. Colt touching my body. My eyes widened in horror. The one thing I’ve wanted so badly for the last few years I was about to lose because I can’t form a damn sentence. Oh. My. Glitter. Swoon alert! We have a major swoon alert. My legs gave out and Colt grabbed a hold of me. “Lauren, are you okay?” Colt asked as concern swept over his face. Unedited and subject to change before publishing. Each can be read as standalone. Kelly Elliott is married to a wonderful Texas cowboy who has a knack for making her laugh almost daily and supports her crazy ideas and dreams for some unknown reason…he claims it’s because he loves her! She’s also a mom to an amazing daughter who is constantly asking for something to eat while her fingers move like mad on her cell phone sending out what is sure to be another very important text message. In her spare time she loves to sit in her small corner overlooking the Texas hill country and write. One of her favorite things to do is go for hikes around her property with Gus….her chocolate lab and the other man in her life, and Rose, her golden retriever. When Kelly is not outside helping the hubby haul brush, move rocks or whatever fun chore he has in store for her that day, you’ll find her inside reading, writing or watching HGTV.